A personal loan is an unsecured loan provided by a bank to an individual to meet his financial needs such as planning a wedding, travelling from one place to another and paying off medical bills. A personal loan is called as an unsecured loan because you don’t need any security or collateral while availing these services. Personal loans are a simple solution to getting easy cash. Applying for a personal loan is the easiest when it is done online. It is a simple and quick procedure. Besides, you can also make use of a personal loan calculator online to find out the equal monthly instalments you would be required to pay. Once the loan is applied for, a representative is sent to the address of the individual who collects the necessary documents. This is followed by verification of the person after which the money is sent to the customer’s bank account. 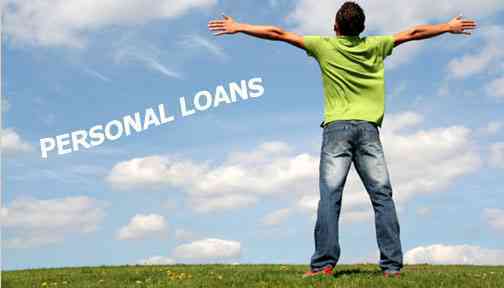 Interest rates are very high for these types of loans and start at 12.75 percent which can further go up. The reason for such rates is because these loans are not secure in nature. For approval of these loans, a person would have to be a salaried person aged 25 or older who earns rupees 35,000 every month. The period of this type of loan starts at 12 months and can go up to 60 months. An increase in the time period also means an increase in the rate of interest given to the individual. 1.Easy- Applying for a personal loan is simple and easy as it can be done online within a matter of few minutes and the money can be deposited into your bank account within 72 hours. 2.Financial loan- This type of loan can be used for expenses of an individual such as a vacation or a wedding. 3.Unsecured- There is no security or collateral against your personal property for a personal loan. 4.No agent/ middlemen involved- There is no presence of middlemen a when applying for personal loans. This avoids many unnecessary expenses and also saves you a lot of delays and time. 5.Minimum paperwork- There are no long queues or any no long processes required to get a personal loan. By filling in a single form, you get to avail money in order to meet your needs. Now you know everything about a personal loan, so go on and apply for a personal loan of your own and go on a vacation or use the money to pay for your wedding. Hey! all, I personally write all posts which vary in Finance as car loan, home loan,personal loan,Insurance,Banking,stock market topics as an interesting means of noting, chronicling and expressing my ideas, projects, inspirations and daydreams. It has constantly evolved ever since and become more Finance to travel oriented.